Brilliant weekend for Tyrant Motorsports with a 2nd for me and a win for Miller. > 2nd for me and a win for Miller. also great Eric, you´re keeping the teamhopes for a 5th place-finish alive! Not a very good weekend for me finishing 13 in race 1 and a DNF in race 2 with a water leak. Edited 2 time(s). Last edit at 03/21/2018 11:33PM by seanmikeuk. > race 1 and a DNF in race 2 with a water leak. Same for me. Water leak in race 1 and 13th in race 2. 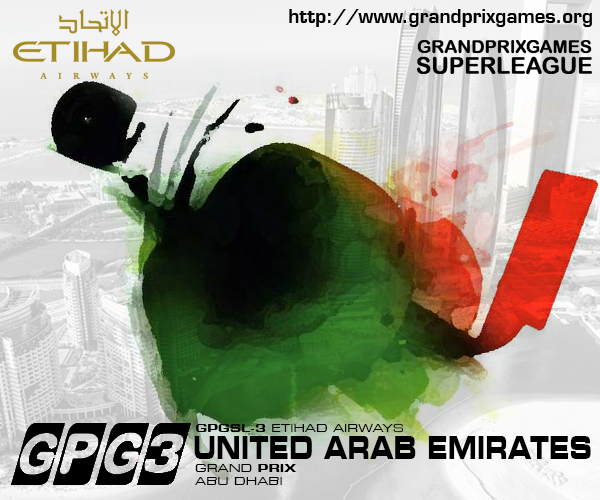 And the last race of GPGSL-3!!! ...way to go my friend !!! > ...way to go my friend !!! I made both races. 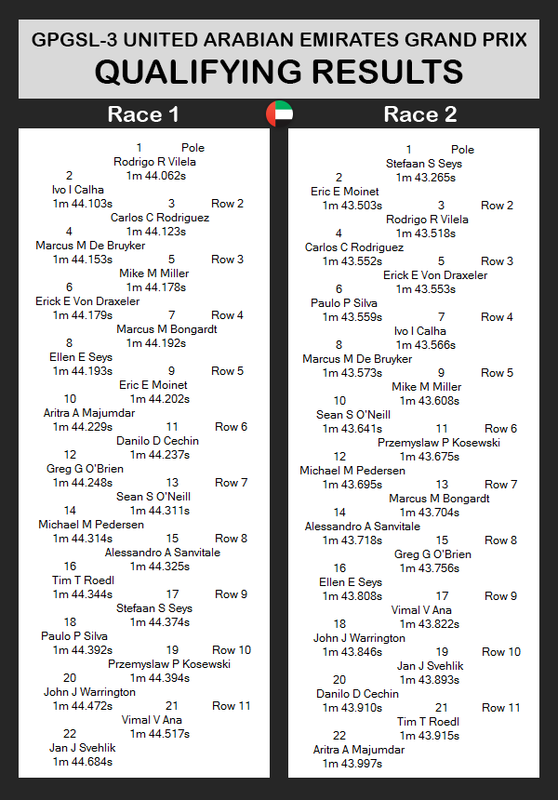 Only a thing: for race 2, there are SEVEN drivers fighting for championship!! Good qualifying positions for me with a P13 for Race 1 and P10 for Race 2. It means that i won the championship? > It means that i won the championship? Yes, you did my friend... and I'm 2nd or runner up again and so is VTR Team. Great race by my teammate Carlos also... and I would thank him for all those years together, he was a great teammate and racer. Rodrigo, I would thank you for all those years... it was fantastic, I loved it all the way... thank you so much my Brazilian friend. And I hope to see a lot of you guys as a driver or testdriver in GPGL-4 series... they are still a lot of seats available, pls come and join us there for season 12 ! and Happy Easter Egg Hunting to you all. Happy Easter, Marcus!!! And congratulations for all these years on championship!! For all, thanks so much to join on GPGSL-3 during these years!!! Top 5 finish in the standings for Miller, and 3rd overall in the Constructors for Tyrant Motorsports. I would have to say that Season 11 is by far our most successful season since we joined the series back in Season 7. Thanks for all you've done Rodrigo to keep GPGSL-3 running for as long as you could.